We are fast approaching Ella Scarlet's SECOND birthday! Can you believe it's almost been one year ago that I hosted the "La Petite Boulangerie" themed FIRST birthday party for her? I can tell you that I'm excited about the theme I've picked for this year! My wheels have been turning for months now. Ella looked SO adorable in it I think I actually squealed out loud! 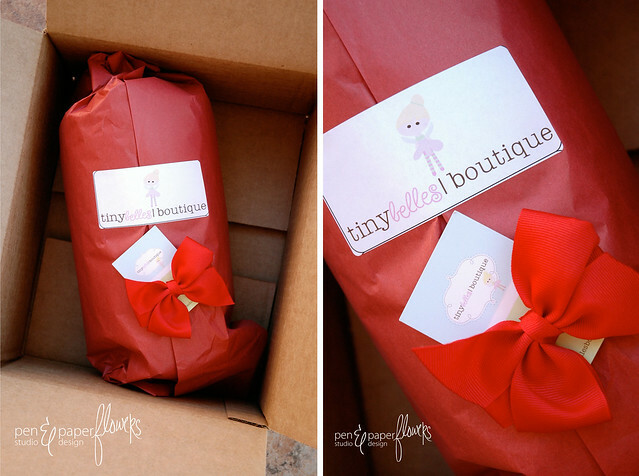 Thank you Emily from Tiny Belles Boutique....we LOVE it! a tiny little hint about what's to come! I was so excited when the box arrived that even though I still had pajamas on, I stood out on the front entry after opening the box, & stripped Ella down right there on the spot so I could try it on her. Lucky for me she already had a little white shirt on which made it SUPER easy for me to take advantage of the photo opportunity! so cute and my gosh your daughters curls are PRECIOUS! LOVE that red. TOO cute! What fun! Can't wait to see what else you have in store for your daughter. She is too cute in the tutu. fabulous!!! your little one is too cute! I LOVE her hair and she looks like a doll in that....BUT...is that the only hint we get?! :( I am really looking forward to seeing your party! You create amazing things and this will be exciting to see! I would love to have had girls!?!? That red is so deliciously vibrant.. 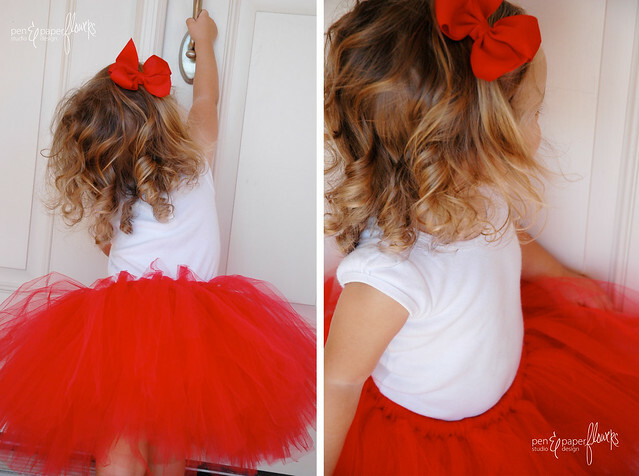 I am in LOVE with that red tutu, the cute curls and the matching bow! I can't wait for the party! !